At our first meeting you will have an opportunity to view and evaluate my skills and knowledge of real estate as well as become familiar with all the documentation involved in the real estate buying process. 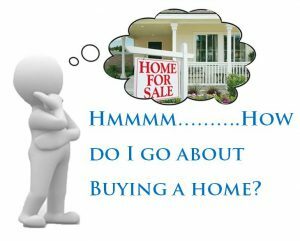 At the same time I will find out your housing requirements and the purchase price that you are comfortable with. During our first time together we’ll also perform a hypothetical purchase so when I find you the right home, you’ll know exactly what’s going to transpire. Our next step will be to “get our feet wet”. I will start a search of all relevant properties and arrange a time to view them. During our viewings I will obtain a feel of your likes and dislikes and after a couple of properties, I will have a clear concept of exactly what you are after in a home. Doing this allows me to create a more efficient search as well as become familar with all existing relevant property. This will allow us to establish knowledge about market value. Once we are sure that the home is priced properly and you’re comfortable with pursuing the property then we will write an offer. At this time you should have good understanding of what is going to transpire because you’ll have already seen the process in your Buyer’s Seminar. Once our offer has been accepted as part of the real estate buying process, I will arrange our inspections, retrieve any reports and have all documents sent to your financial institutions. During our inspections we may find deficiencies that we’ll either have to negotiate around and proceed to the next step or obtain our deposit and walk away from the deal. On the other hand we may not have any issues and we’ll remove all the conditions and proceed to the next step. Once all the conditions have been removed my next step is to have all documentation sent over to your lawyer’s office. That’s where you’ll bring over the remainder of your down payment and register your mortgage and title. Upon completion of the transaction, your funds will be sent over to the selling party’s lawyer on possession date. 6. Possession Date – The day is finally here! On possession I will receive a call from the Selling Agent saying “keys are releasable.” At that point I will contact you and we will arrange a time to perform our walk through, transfer of keys and provide you with your turnover package. And that’s the Real Estate Buying Process. Enjoy your new home!